saw one also last year. 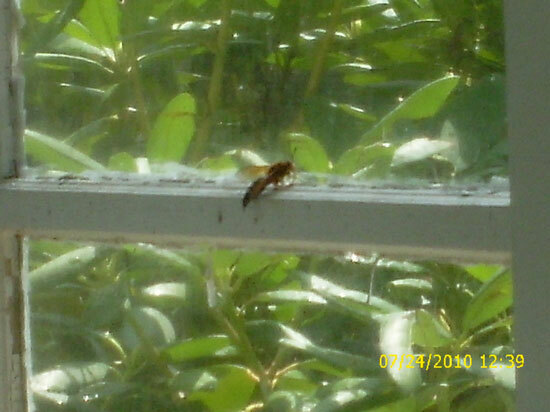 Yep, that's a cicada killer wasp. Looks like its trapped inside some structure. I'm going to guess its your garage? Cicada Killers are not known to invade homes. Thanks for sharing.